How the eye works has intrigued me since I was a little girl. I became an optometrist to answer my own curiosity. 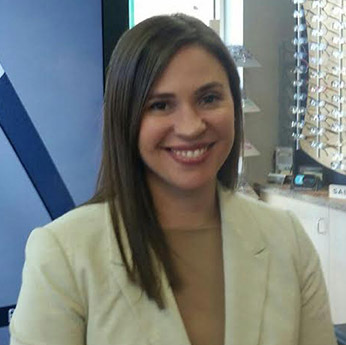 After practicing optometry in a few different offices, I chose to work with Dr. Azzaro and his staff because I knew that I wanted to be part of his team. They are knowledgeable about eyewear, and have an amazing ability to troubleshoot when needed. My goal is to educate my patients about vision and their eyewear needs. At Seven Bridges Eye Care I now work with a group of people with synonymous goals.